If you like the idea of an "invisible" electric car and want a Ford, you may be out of luck unless you live in California and a few other places; the company discourages taking its electric cars to regions they're not usually sold in, since dealerships may not be familiar with them. The 2016 Ford Focus Electric is fun to drive, though its range is lower than the Nissan Leaf and others; its "regular car" looks may appeal to some, but it's sold only in small numbers in a handful of markets. 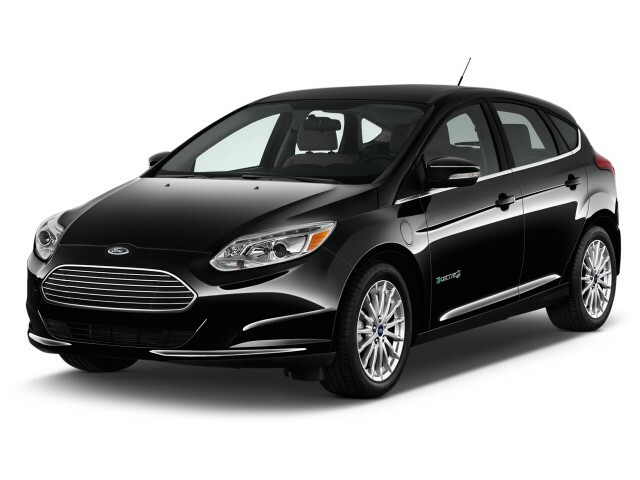 The 2016 Ford Focus Electric, now in its fifth model year, remains the only battery-electric car sold by Ford anywhere in the world. It's the most energy-efficient car the company sells. 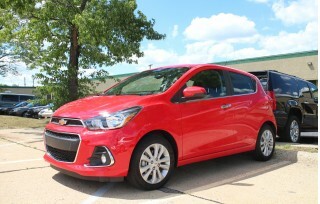 The compact five-door hatchback is adapted from the gasoline model, manufactured on the exact same assembly line in Michigan, but it's sold only in small numbers in specific regions—and only in low numbers. The Focus Electric finds its primary competition in the Nissan Leaf, currently the world's highest-volume electric car by a wide margin, as well as the Volkswagen e-Golf, both of them similarly all-electric compact hatchbacks. Ford's electric Focus also faces off against a smattering of smaller electric cars from other makers—the Chevrolet Spark EV, Fiat 500e, and Mitsubishi i-MiEV—also sold in small numbers in limited markets. Although Chevrolet's coming Bolt EV should spark serious concern at the Blue Oval—its 200-mile range is easily double the Focus Electric's rated range. Over five years, Ford's electric hatchback has changed very little. While you could easily identify it by its unique front fascia, a 2015 restyle of the gas-powered Focus gave the whole lineup the same look. Now, aside from some chrome "Electric" badges on its doors and a charging port in its left front fender, you'd never know the Focus Electric didn't have an engine just by looking. The sole change to the 2016 model is the addition of Ford's latest Sync 3 infotainment system, which promises an easier-to-use interface and menu design than the much-reviled MyFord Touch infotainment system it replaces. The Focus Electric's powertrain remains a front-wheel-drive 107-kilowatt electric motor with juice provided by a 23-kilowatt-hour lithium-ion battery supplied by LG Chem. The Korean battery maker supplies similar batteries to General Motors for its Volt range-extended EV—meaning Ford has piggybacked on General Motors' extensive development work. The pack installed in the Focus is liquid-cooled—unlike that found in Nissan's Leaf, which is only air-cooled—which should mean the Focus' pack is somewhat more temperature resistant. On the road, the motor unleashes enough power to light-up the front inside tire when flooring it exiting a corner. Ford tuned its regenerative braking system to be a bit more aggressive, but its acceleration and deceleration will still be relatively familiar to drivers used to automatic-transmission cars. Despite hundreds of pounds of extra heft, the Focus Electric offers similar roadholding joys as its gasoline counterparts. The battery is mounted under its floorpan, giving the car a low center of gravity that makes it feel planted. Torque from the electric motor turns the Focus into a fantastic jouster in urban traffic. However, like many EVs, the Focus Electric's power drops off under heavy load approaching highway speeds, say north of 50 mph. This Focus feels most at during the stoplight drag races of day-to-day city traffic. Inside, the Focus Electric is more-or-less identical to every other five-door Focus hatchback. There are different screens in the digital instrument cluster display and center-stack display, of course, showing energy consumption and remaining range. The main difference—or drawback—inside the electric version of the Focus is in the cargo area, due to the onboard charger sitting in a box spanning the area between the rear wheel arches, creating a hump approximately 10-inches high. Ford has fitted a clever movable floor that either tilts down to meet the bottom of the hatchback opening or lifts up to provide a level floor in what remains of the load space--but it's a major compromise. The Focus Electric was launched at a price of $40,000, but as electric-car prices have fallen, Ford has had to follow suit. 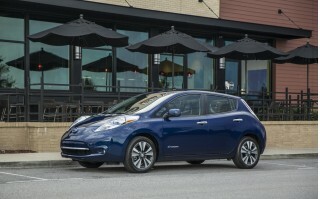 It starts at about $30,000, very much line with the base models of the Leaf, which is now the standard to which other makers must compare. But you'll rarely spend that much in real terms thanks to a $7,500 federal income-tax credit, an additional purchase rebate of $2,500 in California, and numerous other state and municipal incentives. 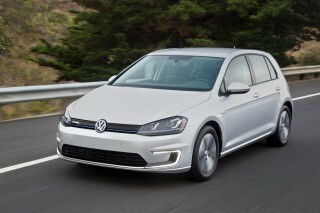 Its all-electric drivetrain will even grant you use of California's carpool lanes when you don't have passengers. The Focus Electric isn't available everywhere, however. The low-volume model is either Ford's cautious attempt at a commercially viable electrified vehicle or a straight-up "compliance car" built to appease California regulators. Regardless of Ford's intentions, the product is a high-quality vehicle that leaves its owners generally satisfied. 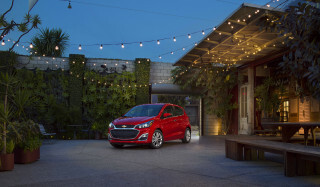 Still, the company puts far more marketing effort behind its C-Max and Fusion Hybrid models, both of which are offered as plug-in hybrid Energi versions. Ford appears to believe that plug-in cars will be much more popular if they have gasoline engines to extend their range. The EPA rates the Focus Electric at 76 miles of range (on combined city and highway cycles) and 105 MPGe, or Miles Per Gallon-equivalent, a unit measuring the distance an electric vehicle can travel on the same amount of energy found in 1 gallon of gasoline. While the efficiency is about average for the class, the range is slightly lower than the comparable Leaf (84 MPGe) or VW e-Golf (83 MPGe). 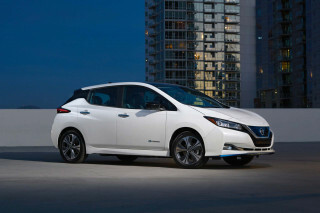 That discrepancy will become more marked when a model of the 2016 Nissan Leaf is launched with more than 100 miles of rated range. Because its charger operates at up to 6.6 kw, the Focus Electric can fully recharge its battery in under four hours via a 240-volt Level 2 charging station. The Focus Electric offers no option for DC quick charging, however, which the Nissan Leaf and VW e-Golf do. I love my Focus Electric! 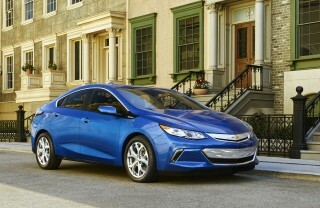 Very skeptical of Electric cars, but this car has all the bells and whistles and performs admirably. The only ding on the reliability is that we simply can't quickly charge the car if we accidentally need to... Very skeptical of Electric cars, but this car has all the bells and whistles and performs admirably. The only ding on the reliability is that we simply can't quickly charge the car if we accidentally need to get somewhere outside of the range. We do have a gasoline car just in case. We have two car seats and they fit nicely, the trunk is really not too small to scare us away from Costco trips, and we like not having to spend $30-40 on oil changes or other engine maintenance. I've had a 2012 focus electric for 3 years and have gotten a new lease on a 2016. Love this car! Fun to drive, costs about $40 a month increase in electric bill vs $100 a month that I used to spend in gas. The... I've had a 2012 focus electric for 3 years and have gotten a new lease on a 2016. Love this car! Fun to drive, costs about $40 a month increase in electric bill vs $100 a month that I used to spend in gas. The 2016 is much the same as the 2012, the new sync 3 is a nice improvement. $7500 federal tax rebate (available as a rebate from ford if you lease) + $2500 California rebate brings the price to under $19000. Save about 60% off your cost of fuel to drive. Very low maintenance cost, basically just the tires. Even the brakes last longer because of regenerative braking. Get a special rate from SDG&E for entire household usage when you own an EV. Quick acceleration with instant torque. Fun to drive! I said it before and I'll say it again. Fun to drive! !